Off the rack wedding dresses - Ready to wear wedding dresses - Leah S. Off the rack wedding dresses - Ready to wear wedding dresses - Leah S.
Organizing your wedding in a hurry or just forgot to get a dress. Maybe you’ve had a dress disaster. 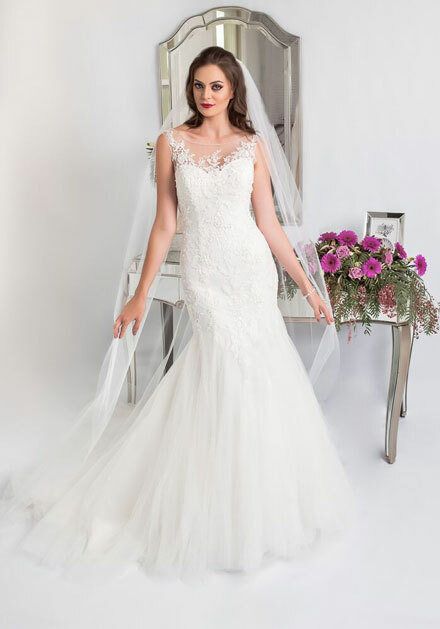 Whatever the reason we have a fabulous selection of ready to wear off the rack wedding dresses to choose from. All silhouettes from mermaid style gown with its amazing corsetry to compliment every curve. To the ever popular and flattering fit and flare wedding dress styles. 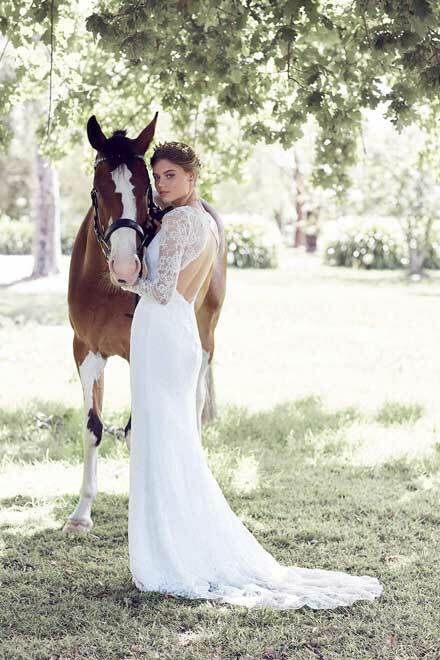 With sizes 6 to 34 in store there are ready to wear wedding dresses everywhere. 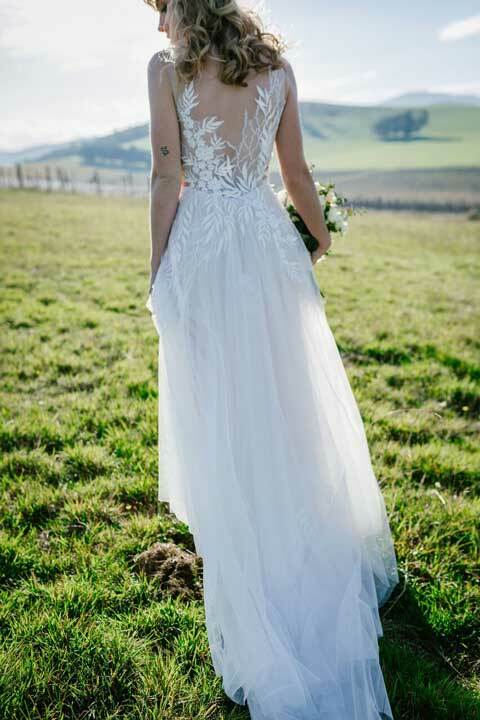 Leah S designs has a talented bunch of dressmakers that are more than happy to wave their magic wands over your bridal gown. Making your alterations not only affordable but prompt and perfect. Specialists in full tulle skirt alterations and difficult lace hem adjustments. As they understand that a gown needs to be the perfect length as there is nothing more unattractive than a bride stumbling down the isle as her hem is too long. Losing weight? Our ready made bridal gowns have been designed to go down two dress sizes without a problem. Never thought that off the rack wedding dresses would fit. Ours will. The plus size perfection bridal range is in store and ready made gowns are here for you to try right up to a size 34. Gowns that will flatter your curves. How wonderful to be able to try on in your size and know exactly how the gown will sit on your body. And see if the balance is right for you. Many long sleeve wedding dresses too. Sadly we see too many brides that have ordered their bridal gown online. Without trying it on. And at the last minute finding out that the gown they saw in the picture defiantly wasn’t the one that arrived at their door step. There are so many other measurements that need to be considered when making a gown than just bust waist and hip measurements and that’s why so many gowns arrive that are way too small in the bust as a cup size wasn’t asked for or too short in the waist as that measurement wasn’t asked for either. Sleeves are too tight because they haven’t asked for an upper arm measurement. 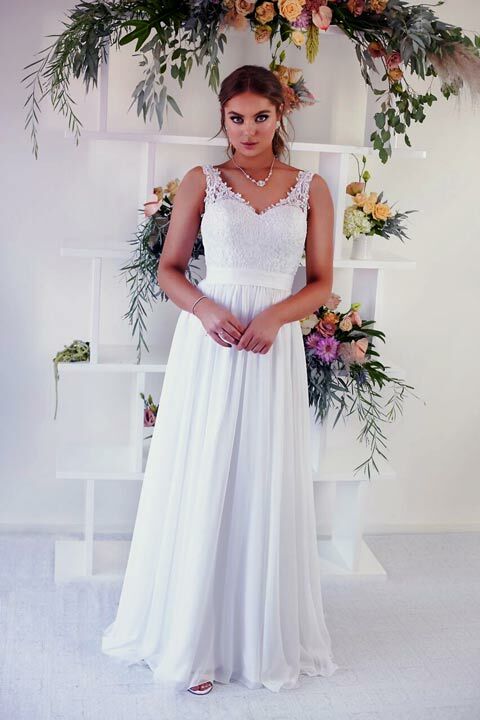 Take the anxiety out of your wedding gown purchase and visit a wedding dress shop like no other Leah S Designs Melbourne.